Believe it or not, this is our very favorite family Fall activity, next to driving up the canyon and checking out the changing leaves! 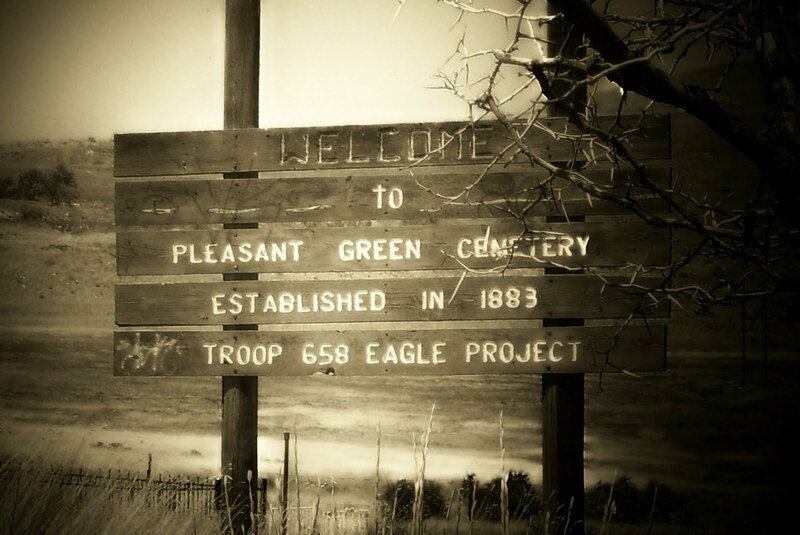 Utah has some very old and interesting cemeteries just waiting to be discovered! There is also a lot of history you can learn in a cemetery! You can also add your own submissions to the Find A Grave website! We love taking pictures of graves, then using our Kodak Easyshare Software to enhance and edit the pictures and make them look cool and spooky! We also like writing down the names of some of the really old graves and coming home to research them and see if we can find any information on them and the life that they lead! Below is a list of some of the old and cool cemeteries we like to visit. (This list will be added upon throughout the month as Halloween approaches. 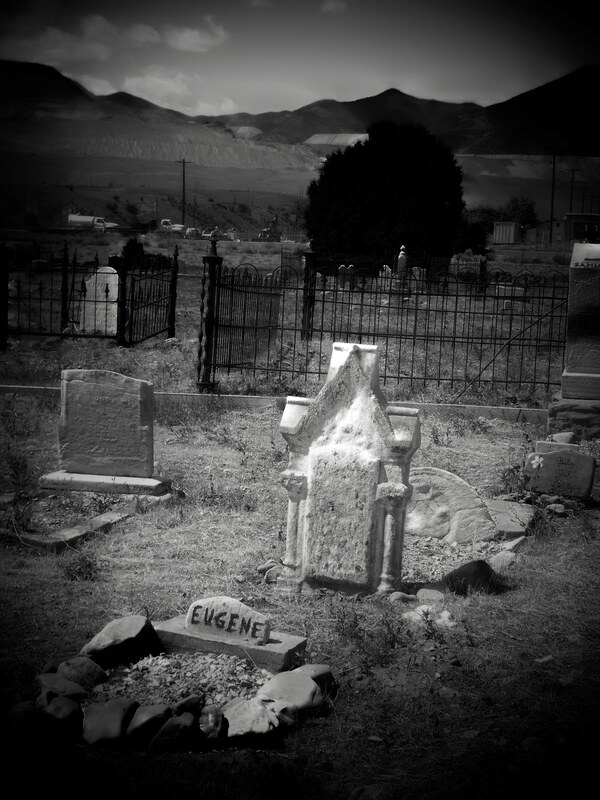 If YOU know of a really old and cool cemetery, please email us at enjoyutah@q.com) . Located at 200 N Street in the Salt Lake City avenues. This cemetery is located in Magna, UT, but chances are you have never driven past it. It is located atop a hill and around a corner, so it is not easily seen from the road. If you take 3500 South all the way West you will eventually go as far as you can go, before the road starts turning North. This is where you will want to go across the railroad tracks and up the mountain. You will find the Pleasant Green Cemetery at the top of the mountain. 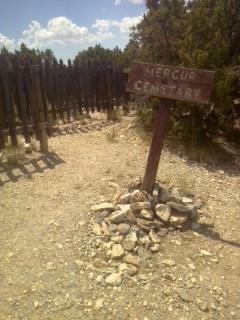 This is one of the oldest cemeteries in the state. If you take the Old Bingham Highway all the way West towards Copperton, you will pass it on your left. OR you can take the New Bingham Highway towards Copperton, and you will see it on the road below on your left. A few years ago this cemetery was very run-down, with most of the graves being unmarked. 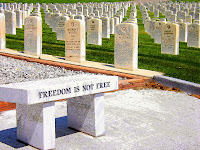 In 2006, Brad Jencks set out to complete his Eagle Scout project by researching all those that were buried there. There is more information and a sign about this as you enter the cemetery. Recently, the remains of historic lawman James D. Hulsey were discovered at this cemetery, and a marker was placed on his grave. On Nov. 29, 1913, Hulsey was gunned down near what was the town of Bingham at the foot of the Oquirrh Mountains by a notorious desperado known as Red Lopez. Read the full story by clicking here. Ogden City Cemetery is the oldest cemetery within Ogden's city limits. The first burial was in 1851 and it is still in use. It is located at 1875 Monroe Boulevard in Ogden, UT. 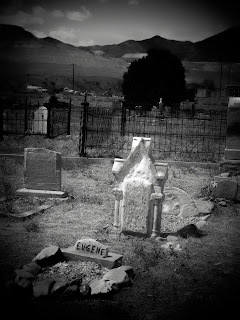 Found in Tooele County, this is a really old and creepy cemetery! My brother and his girlfriend ventured out there and sent me some pictures. I am "dying" (pun intended) to go and check it out! To get there, go South through Tooele and into Stockton. Keep going until you see a sign heading Eastbound to go to Mercur. The cemetery is at the base of one of those canyons. You do have to park and walk up a small hill, but nothing too strenuous. You can also CLICK HERE for more information, and to see more pictures. This is really good info! I'm always looking for new cool cemeteries in Utah. What cemetery is the first picture with the Eugene headstone? Thanks! That one is in the Bingham Cemetery, just outside of Copperton. One of my favorite cemeteries! :) Does that make me creepy?! Haha!